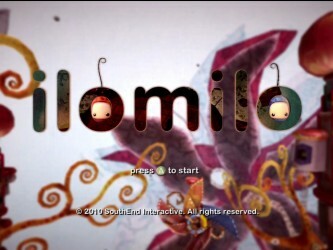 The final game in the Games for the Holidays promotion is a puzzle game by the name of ilomilo. Considering the quality of the other games involved, and the notable presence of the game in the commercials for the new Windows Phone 7 devices, ilomilo has got a lot to live up to. Does it finish out the promo strong? Time to take a look. One of the first things to pop out about ilomilo is the visuals. From the characters to the environments, everything has a very unusual, very unique style. Essentially, it looks like the world and everything in it has been sewn together out of the scraps leftover from when grammy was done making her quilt. The style is actually excellent, showcasing a variety of different textures and color variations on each character and set piece. 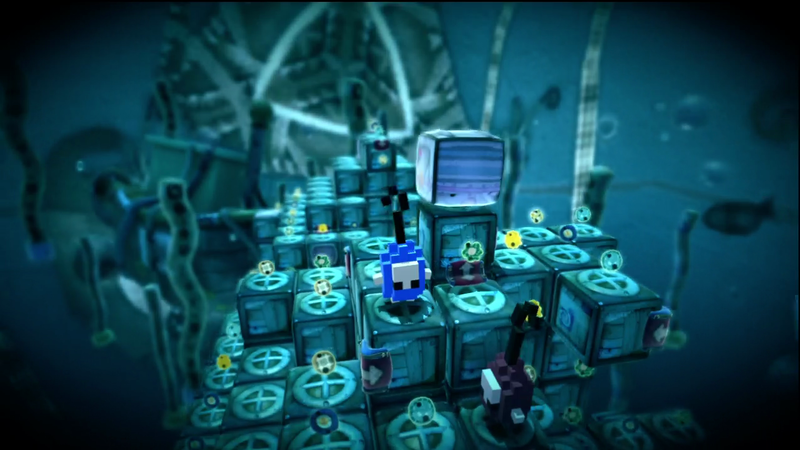 The environments are primarily made up of cubes, though the theme of these cubes varies with the chapter. They can be cushiony little bricks, rough metal chunks with port holes, folded paper covered with doodles, or slick black and white blocks. 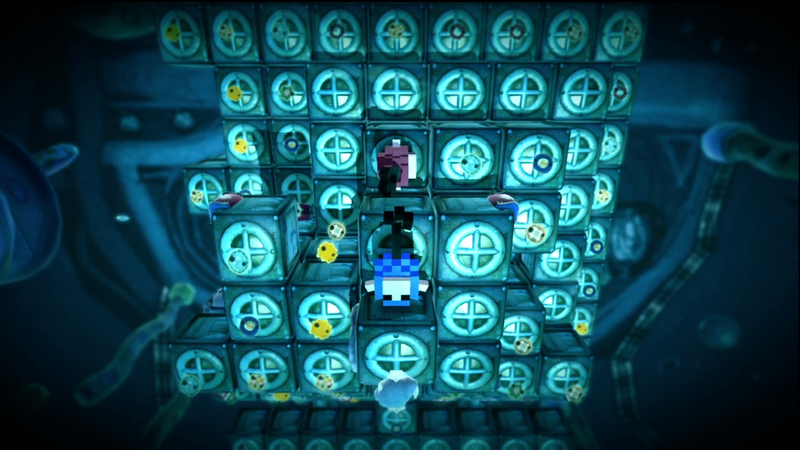 Every level is a network of such cubes connected to one another and floating in a curious setting that is alive with motion, trippy creatures, and other odd characters. Speaking of creatures and odd characters, there are all sorts of living things in this game, all showcasing the plush, handmade art style. They range from the main characters, who are little plush eggs with “thumbs instead of legs”, to quote Sebastian, your tutor. He himself looks like a diminutive Napoleon riding an unhappy ladybug. 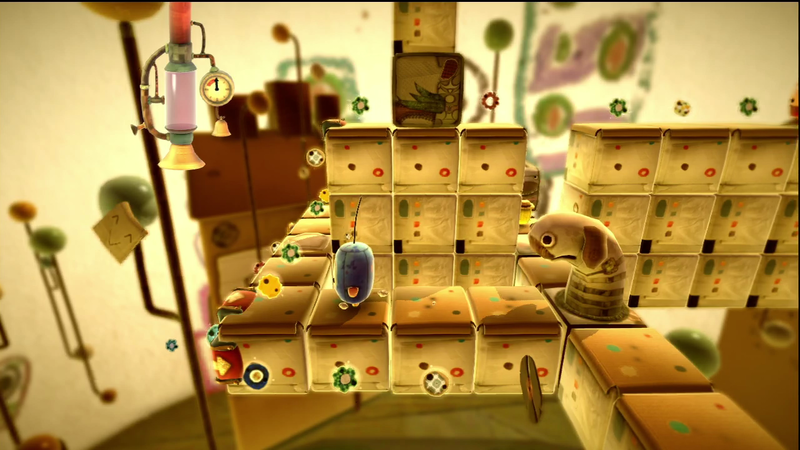 A sock puppet makes an inevitable appearance, as well as various cubic creatures. Keep your eyes peeled and you might even spot some cameos from indie darlings. Along with the creative use of fabric, the game likes to show off its reverence for the 8-bit age. Certain special levels shift your character into blocky voxel versions of themselves. A story is even told in old style graphics, and enough searching will net you a whole mini-game that would be at home on the gameboy color. In terms of UI, a helpful glow will let you know where and why there is a problem with your current action, and you can always tell by looking whether you’ve collected a certain item or not, depending on whether it is worn out or wearing a hat. A variety of views help you spot your friend, get a bird’s eye view of the level, or see yourself through obscuring landscape. Overall, every functional. Like many puzzle games, the point of each level of ilomilo is to reach your goal. There are, however, two big differences between this game and your average puzzler. First, it is implicitly two player. Second, the other player is your goal. Initially separated, the level ends when you are standing on adjacent squares. As always, it seems like a simple task, but it gets enormously complicated very quickly. ilo and milo cannot jump, climb, or fall. They can only move to adjacent cubes, and only if they are roughly in alignment, and roughly stationary. 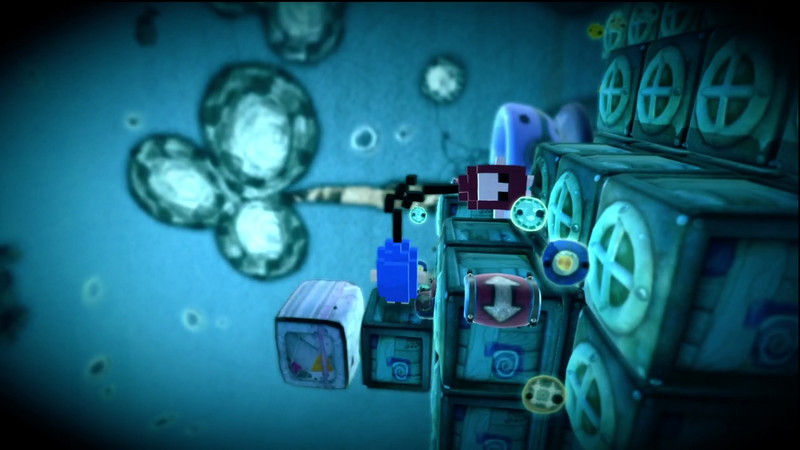 Further complicating matters, gravity is a very relative thing in this game. If you come across a bit of red carpet, it will let you walk up onto a wall or down onto the side of a cube. Similarly, if successive blocks are tilted, you can progressively corkscrew or circle around the edge. That means that if ilo and milo aren’t on the same level, are separated by a gap, or can’t agree on which way is down, they need to employ some of the creatures they will find along the way. Said creatures (always cubes) serve various purposes. Some are simply portable cubes, useful for filling in gaps or blocking other creatures. Some extend upward or outward up to three spaces to fill larger gaps. There are cubes that fly straight up, cubes that let you flip to the opposite side of a row of blocks. One particularly useful cube will flip you around to various orientations if you stick it to an edge, or roll along if you place it on a surface, activating buttons if it encounters them. Most of these cubes can be carried, one at time, by ilo or milo, but some are either stationary or moving around on their own. One such creature will eat apples that block your path, or carry you along on its back. Another will snag anything you are carrying and throw it away. The level design can get devilish. Since absolutely everything moves a set number of cube distances each, it is seldom enough to simply find a floating block and ride it to your lost friend. You’ll be contriving clever ways to stop it at the right level, or at the right distance, or at the right orientation, so that you can step off and find your friend. To keep the level interesting, each is scattered with various collectibles. Little colorful memory fragments slowly fill a meter that, when complete, will fill in a precious slice of story for that chapter. 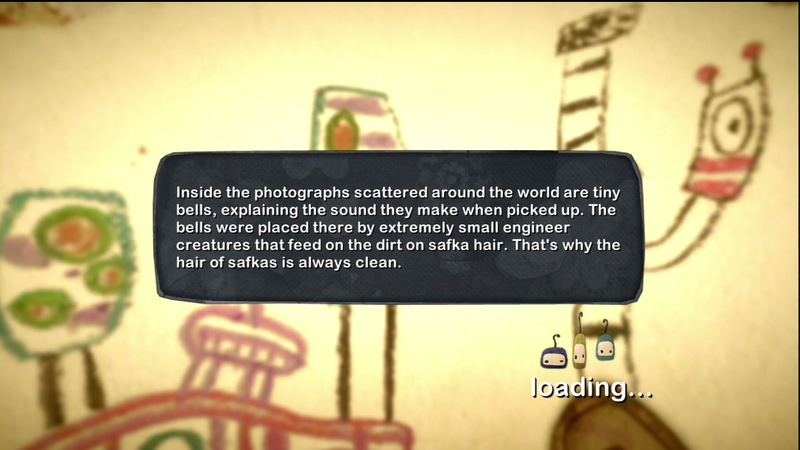 Photos unlock concept art, records unlock songs, and “safkas” (little limb-free versions of ilo and milo) are used to unlock bonus levels. You almost never need to collect all of these things in order to solve a puzzle, so in my case I found myself carefully avoiding my friend in order to collect each item before ending. 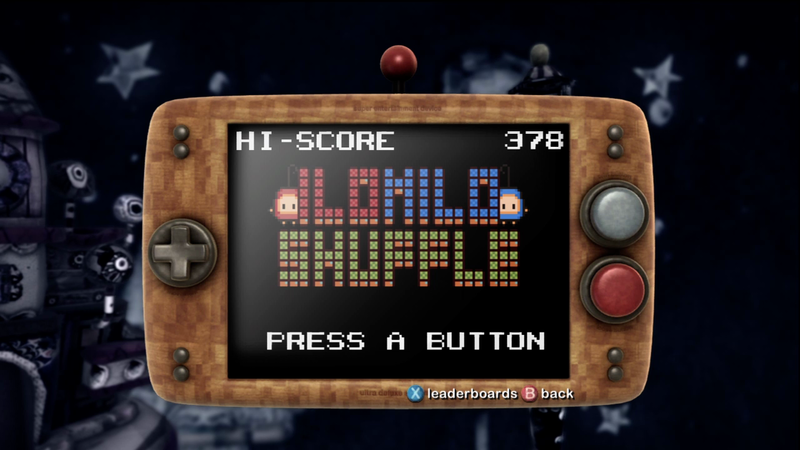 Exploration pays off, too, because one level conceals the excellent “ilomilo shuffle” cartridge, allowing you to play a neat little casual game focused on collecting points on a constantly shifting board, while controlling both characters simultaneously and trying to avoid getting shuffled off the level. One choice which could potentially be a make or break for people looking to play multiplayer is the fact that, when different players control ilo and milo, they don’t play simultaneously. Instead, they take turns, each player voluntarily relinquishing control when the other needs to do something. The levels are designed such that each player gets a roughly fair amount of solution time, and the “tagged out” player is given things to keep them occupied, like a little fly that can collect hidden eggs, or a pair of musicians that are excellent at irritating a partner who is hogging the play time. 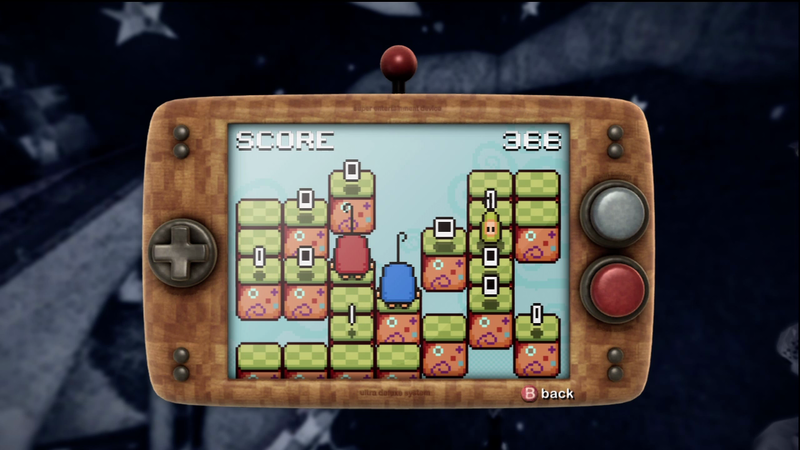 I ended up enjoying the tag team puzzle solving, but I could easily see people finding it frustrating or pointless. This is less of an issue when playing solo, obviously. I hesitate to estimate play time, since completionists will want to play every level and collect every item, while speed runners will do the bare minimum. It will be at least a few hours, and since it keeps score of the average and minimum number of cubes traveled per solution, I imagine some of you out there will spend hours on EACH LEVEL trying to beat the other folks. The sound in this game, like the scenery, is happy and mellow. There are lots of bells and whistles… That’s not to say that the music is fancy. It literally has lots of bells and whistles. The characters do not speak, except for Sebastian, who mutters gibberish with a decidedly haughty tone. If you like the music, be sure to hunt down all of the records so that you can play them in the gallery. 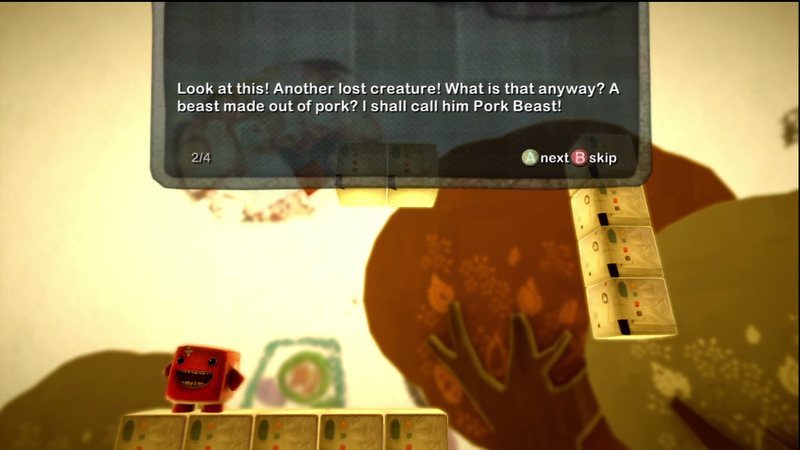 I’ve played the game through to completion, and I can honestly say… which story? As far as I can tell, there are two levels of storytelling at work here. On the surface, you are simply two little creatures who are the best of friends and want to spend all day hanging out. The problem is that your chosen hangout spot seems to become discombobulated every day, making it difficult to actually meet up. 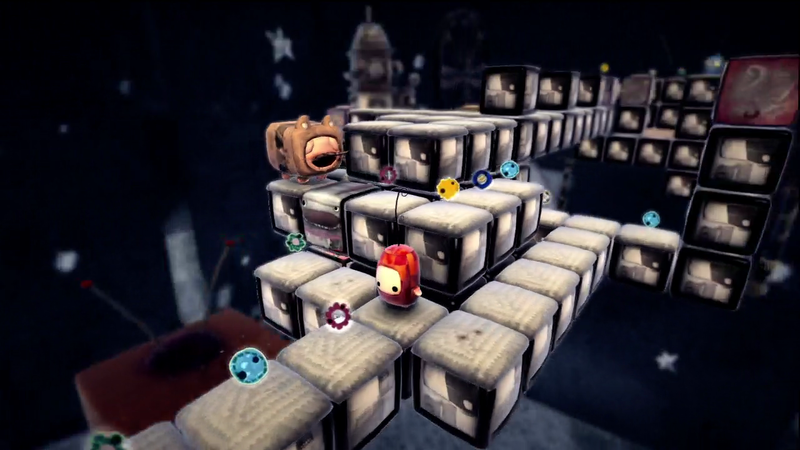 The different levels are explained by various reactions or schemes the characters have. Hand drawn maps litter one level. A lake filled with tears of separation anxiety makes up another. Loading screens tell off-the-wall tidbits about the characters and world, and Sebastian quickly establishes himself as a pompous blowhard. I would have been just fine with this minimal tale, but as you start to unlock memories, something deeper and truly melancholy starts to emerge. The memories are bits of torn snapshot and an accompanying letter, written by either Ilona or Milton. They are presented without context, leaving you to piece together their relationship and situation based upon what little they say. I don’t want to spoil it, but if you dig below the surface, it could easily be seen as a very sad, almost heart wrenching tale. 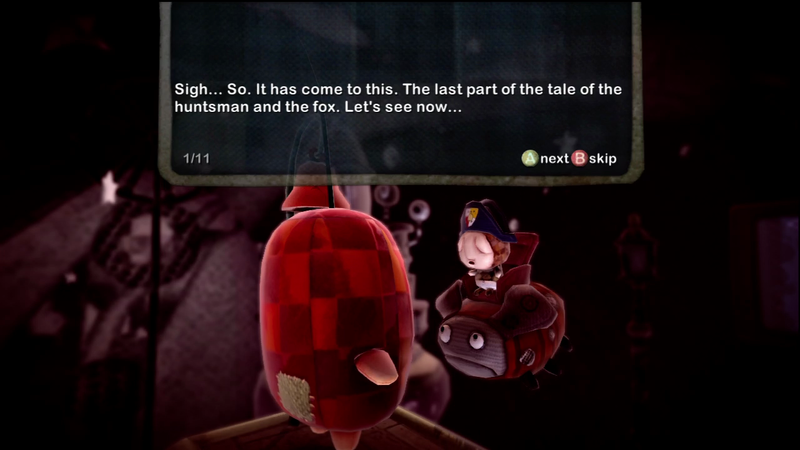 Taken with the rest of the game, this story seems to cast ilo and milo in the role of a sort of allegory for separation and loneliness. Deep stuff. Finally, there is still a third story, told via bonus levels. Sebastian, your tutorial creature, relates to you a fairytale about a faithful hunter and his fiance who wants a fox fur to wear. It is in the style of the Brothers Grimm and other old world fairy tales, which is to say that it is kind of depressing. More depressing still, I was highly motivated to unlock the levels so that I could find out how it ends, since Sebastian won’t finish it until you’ve made your way to the final bonus level. ilomilo is surprisingly deep in almost every way. 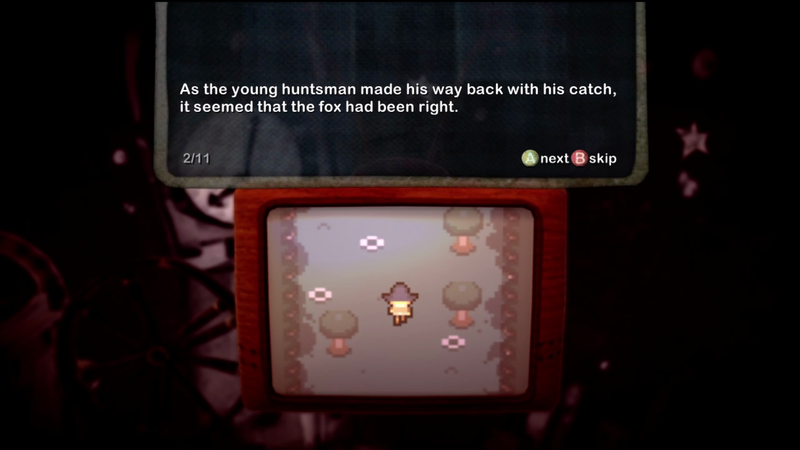 The puzzles are challenging and require outside the box thinking, the story is multilayered, the art style is unique and detailed, and the multiplayer is unexpected. Great effort is made to keep you playing, and overall things are extremely well executed. At the same time, though, all of the novelty will lead to vastly differing opinions of the game. Some will call it a brilliant, artistic, innovative masterpiece. Others will call it boring, frustrating, and reminiscent of a vaguely depressing Eastern European children’s show. It all boils down to you. 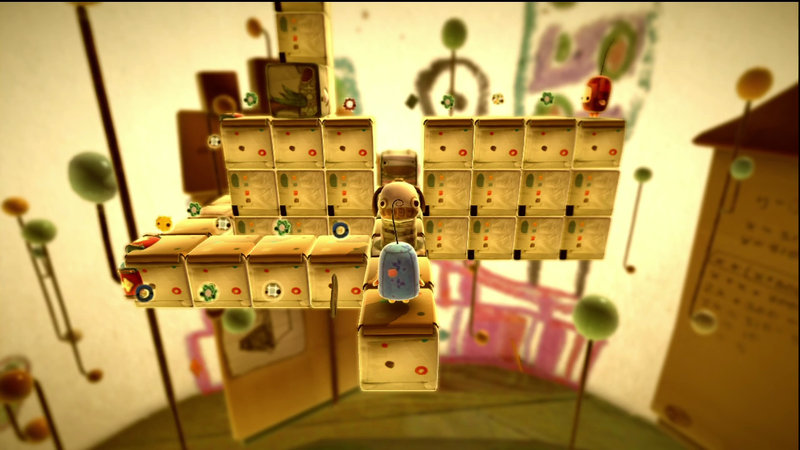 8.9 / 10: A sometimes touching, sometimes wacky, but always challenging and innovative puzzle game.